More on the Living Essentials Norwalk 60 in. TV Stand (Golden Maple) TFWGM0455 below. 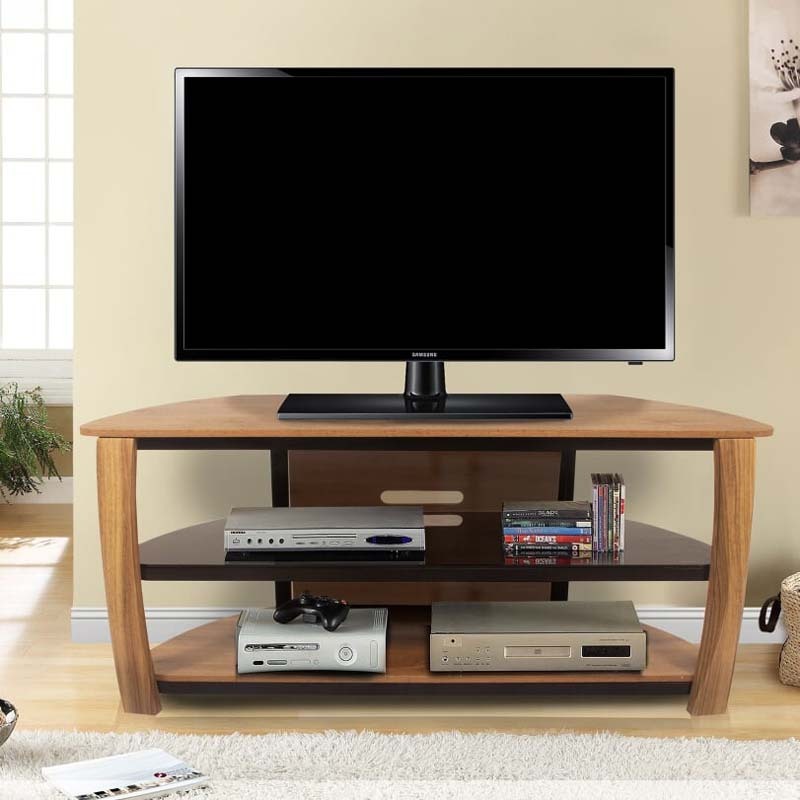 The Living Essentials Norwalk TV stand will be the center of attention in your living room. 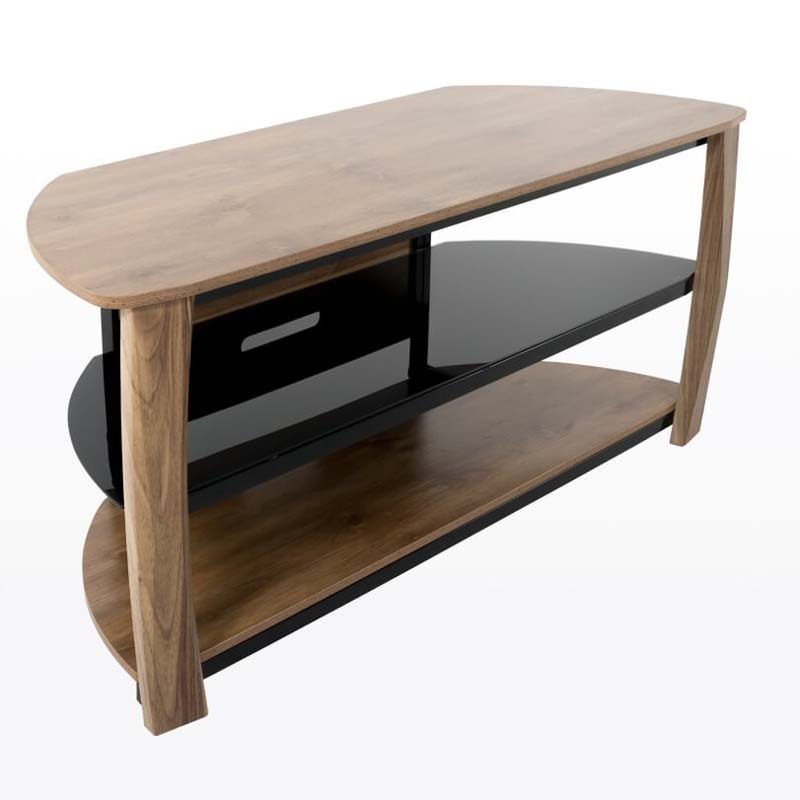 It's unique style, curved legs and wood finish will create a warm atmosphere in your home. It is part of the Unfold & Lock Collection - no tools needed, as simple as 1, 2 & 3! Just unfold the stand, lock it into position and place the shelves. There is nothing easier than this! 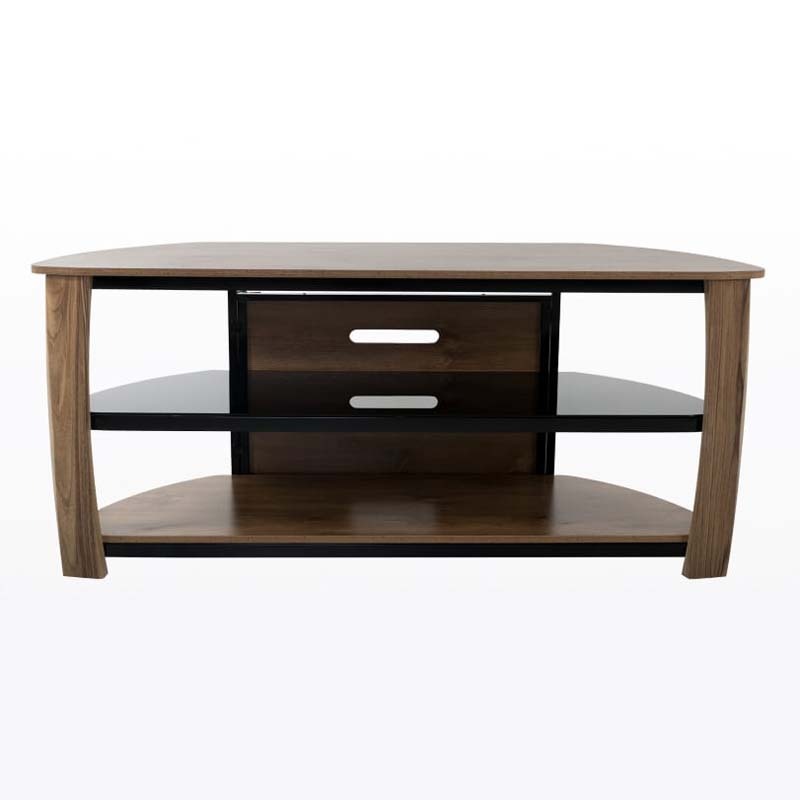 The Norwalk TV Stand has beautiful Golden Maple wood veneer top and bottom shelves, a black glass middle shelf, and, a sturdy black metal frame. The angled back gives versatility for placement in a corner or flat against a wall. 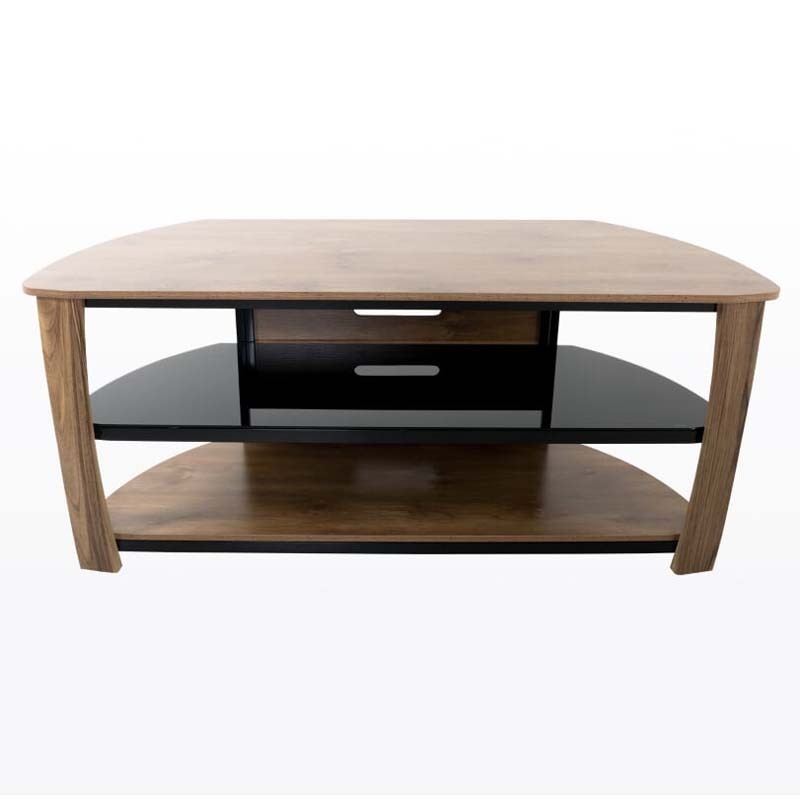 Sleek wood, metal, and glass gives you traditional feel with a touch of modern design. 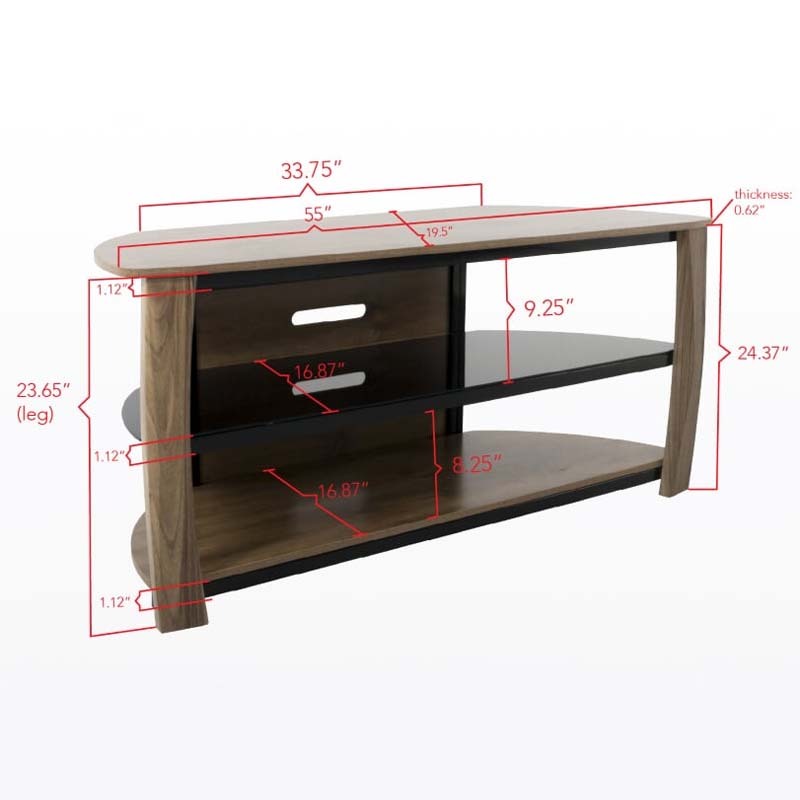 Will accommodate most flat screen TVs up to 60 inches and 106 pounds. Sturdy metal frame with scratch resistant epoxy coating in black finish. 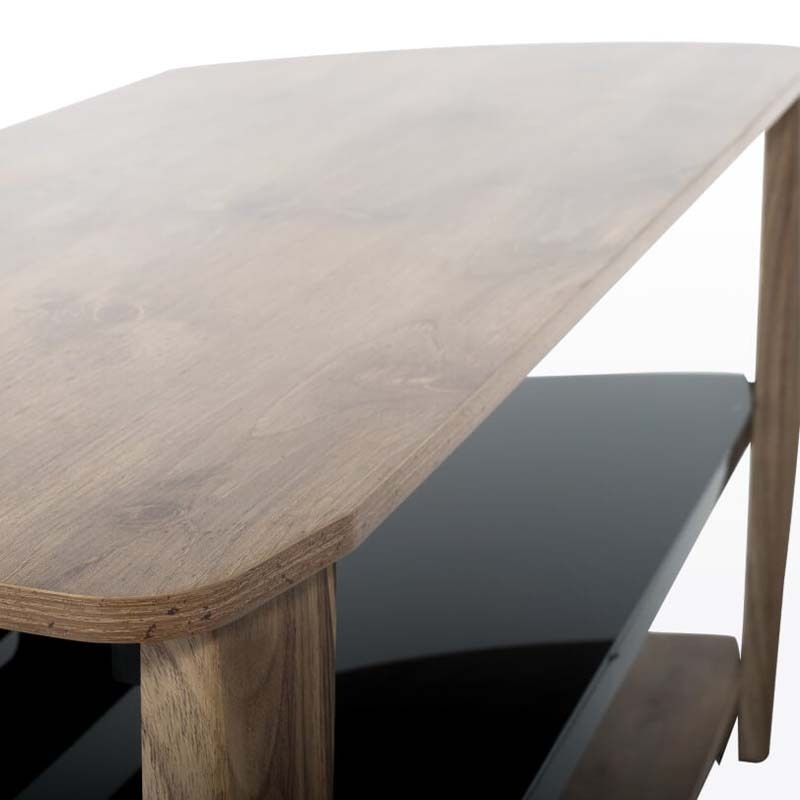 Curved front legs have a textured Golden Maple wood veneer. Black glass middle shelf is tempered for safety. 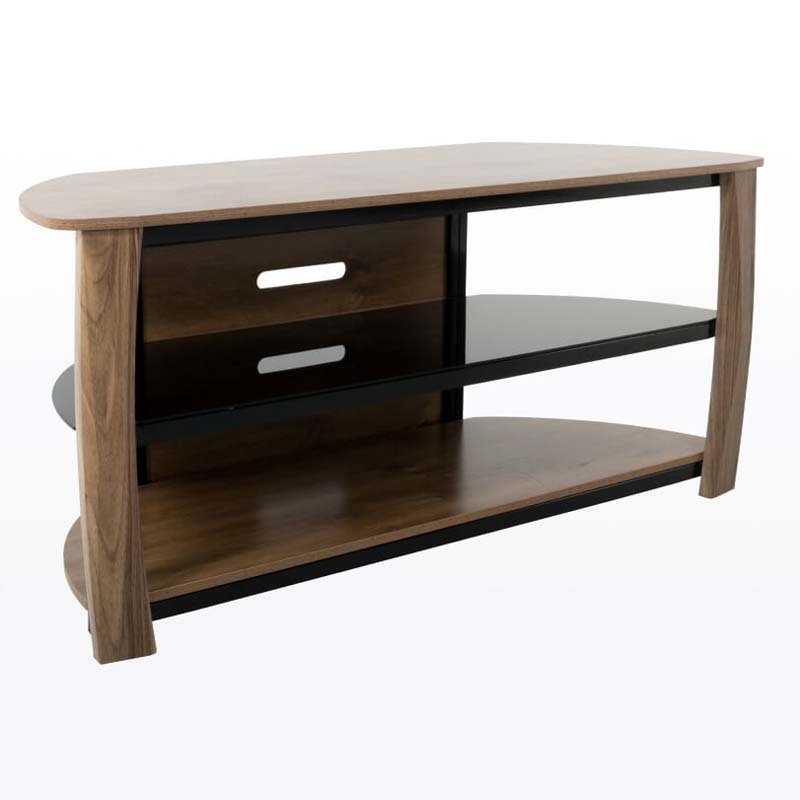 Top and bottom shelves are made of durable MDF with a beautiful textured wood veneer in Golden Maple. Large storage shelves offer ample space between each shelf to allow air flow for your components to stay cool. The angled back gives versatility for placement in a corner or flat against a wall. Integrated cable management on back of the stand to keep your wires hidden away. Unfold & Lock Collection means no tools needed! As simple as 1, 2 & 3. Just unfold the stand, lock it into position and place the shelves.